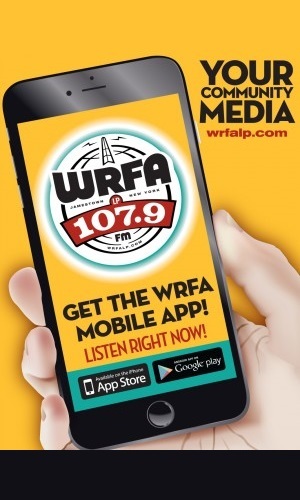 Originally airing Thursday, April 26 2018. JAMESTOWN, NY – WRFA’s Jason Sample interviews Victoria Patti, Community Alliance for Suicide Prevention Coordinator/Chautauqua County Department of Mental Hygiene and Ann Rosenthal from Chautauqua Tapestry about the upcoming screening of the Kevin Hines’ documentary “Suicide: The Ripple Effect” – showing in Fredonia on Wednesday, May 2 and in Jamestown on Thursday, May 3 (in the Scharmann Theatre on the campus of Jamestown Community College at 7 p.m.). The film focuses on the devastating effects of suicide and the tremendous positive ripple effects of advocacy, inspiration, and hope that are helping millions heal and stay alive. 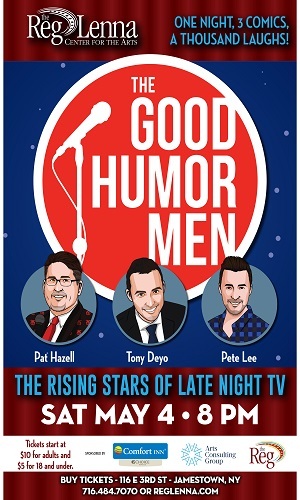 The documentary highlights the story of Kevin Hines, who at age 19, attempted to take his life by jumping from the Golden Gate Bridge. Today, Kevin is a world-renowned mental health advocate, motivational speaker, and author who travels the globe spreading his message of hope, recovery, and wellness. Kevin has visited Chautauqua County twice to share his message; we are excited to have the opportunity to show his continued message again this May. Attendees under the age of 18 should be accompanied by an adult due to strong language and content. The public is invited to arrive an hour prior to the screenings for refreshments, mingling, and a local information table fair. 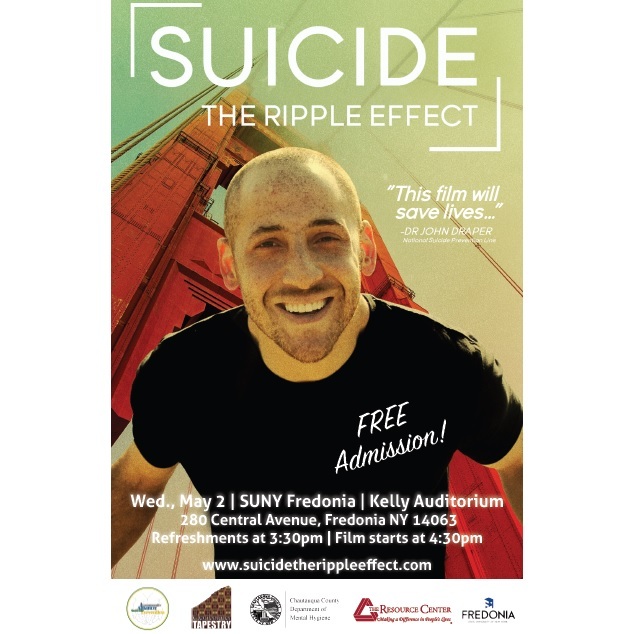 The screenings of “Suicide: The Ripple Effect” are sponsored by the Community Alliance for Suicide Prevention, the Division of Engagement & Economic Development at the State University of New York at Fredonia, Jamestown Community College, The Resource Center, Chautauqua County Department of Mental Hygiene, and Chautauqua Tapestry. More information about the documentary and Kevin Hines can be found at SuicideTheRippleEffect.com.